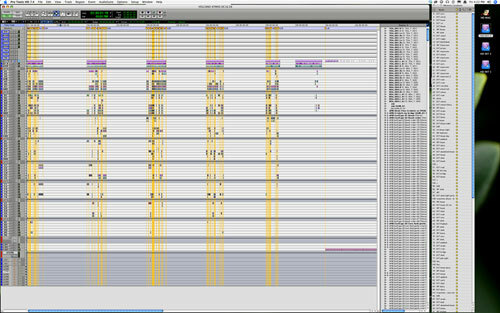 I Heart ProTools VCA Faders! I’ve been using ProTools since day one, in fact since before day one. 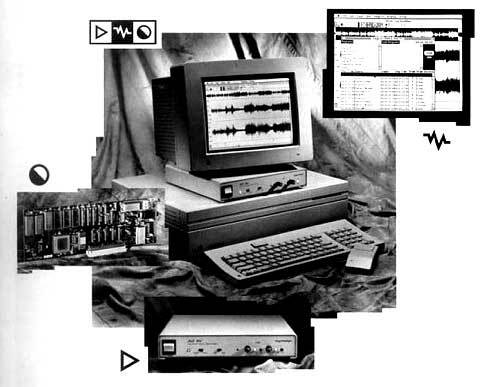 When I left film school at the end of 1990, the guy I got a job with as a trainee had just bought a Mac SE30 & the first Digidesign Sound Tools to arrive into New Zealand. Sound Tools was basically a stereo AD, DA and the Sound Designer II program and we had it chasing LTC SMPTE timecode off video along with a multitrack reel to reel. So eg cutting ambiences would involve digitising some wind onto the 100MB drive, cut it into regions in a playlist & then lay it off to tape. Delete the wind off the drive, load the next file & repeat. 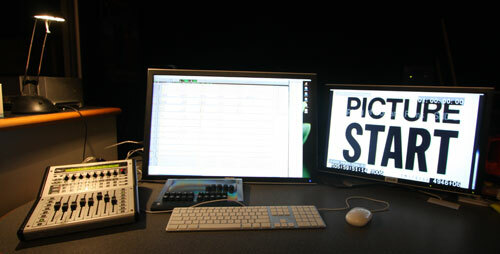 Next came ProTools in its very first form, as two seperate programs ProDeck and ProEdit. Now ProEdit worked reasonably well but the two programs only really worked together in theory, eg you would switch to ProDeck & record something, then switch to ProEdit & new audio should be sitting on a track. Notice I say ‘should’ because it rarely worked. At this time I was doing a lot of foley recording (recording to analogue multitrack in lock to a video deck) and every time a new version of ProDeck & ProEdit arrived we would excitedly load it up, hoping like hell that it worked well enough for us to use it to record foley… but it was quite some time before that day arrived. 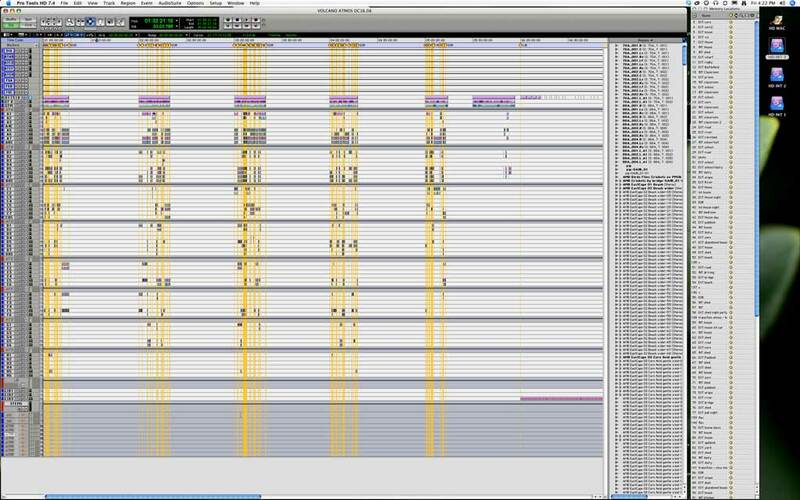 In fact it wasn’t until the two programs were merged into ProTools 1.0… So if you have ever wondered why the ProTools feels like the Edit view & the Mix view feel slightly like two seperate worlds, its because they once were. Why this works so well for me is partly because I have a MotorMix, which has 8 motorised faders along with solo & mute buttons. By moving the VCA Masters to the top of my session the MotorMix faders then control overall level of Stem AB, Stem CD, Stem DE, Stem FG & Stem HI… I’ve also since added a VCA master for dialogue guidetrack and another for music guidetrack and will use the other two faders as FX masters. Another aspect of why this works for me is the fact that I’m using Mix-only groups. So while the VCA is controlling the overall level of all the tracks of stem AB, I can still dive in & tweak edits on say the third centre track on Stem B without having to suspend grouping to do it. Where I can see this setup being very handy is when I’m having run throughs with the director eg say I play him that beach scene & he says ‘I don’t think we need crickets” – I can just pull the MotorMix fader & zero the VCA Master Fader for the appropriate stem & see what the impact is immediately before committing to it. “VCA groups allow you to control multiple faders without mixing their signal paths. It’s a feature modeled on many large-format analog consoles, where VCA faders located near the center of the desk can be assigned to set master levels for a group of “slave” channel faders. In a music mix, for example, you’d have one VCA fader assigned to drums, one to backing vocals, one to guitars, and so on. Moving the VCA fader lets you “ride” the level for the corresponding group of slaved faders. In Pro Tools HD, the VCA track type replicates this useful function. All VCA tracks can be easily and simultaneously accessed from any Digidesign control surface, and on ICON systems, VCA faders can be “spilled out” to show the individual tracks that make up the VCA group. These discrete tracks can then be adjusted individually and collapsed back to the VCA master. Mixers who are used to working on traditional consoles will love this function. VCA faders can also be automated. This overall automation is graphically superimposed on each track within the VCA group; the cumulative level is displayed as a blue line that indicates the track’s volume automation combined with the VCA volume data (see figure 2). 9 Responses to I Heart ProTools VCA Faders! This is a fantastic explanation! I had been using Aux channels to submix my groups, and eating up all sorts of processing power to accomplish it. I’m going to start incorporating VCAs on my next project…which as it happens, starts this weekend! Nice one Tim, I’m just getting in to VCA’s for the short film I’m working on and it is, as you say, a bit of a revelation not having to suspend groups and worry about automation being lost. VCA’s in ProTools are nice indeed. Pardon me for being a little OT, but I have a bit of a beginner question for Tim. Do you take this whole session to the Mix Stage,with the FX-A, B etc stems being simply submixes of live individual tracks, or do just separate out pre-mixed stems and combine them with Dialogue and Music into a mix session? Thanks for the neat explanation. It’s amazing you’ve been using Protools since day one literally. Thanks for sharing. I love seeing/hearing others break down their work. Always educational seeing how others are doing things.